The focus is to maintain a healthy acid mantle ie. the upper layer of the skin (epidermis) and used controlled chemical skin resurfacing compared too traditional strong peeling. pH formula resurfacing treatments use a unique delivery system whereby providing controlled, targeted delivery of the active acids into the skin, stimulating the production of collagen and new skin cells with minimal destruction to the surface layer of the skin (epidermis). 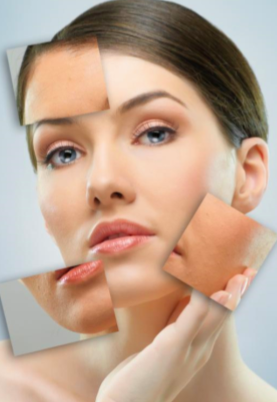 There are two options available for skin resurfacing, an advanced specialist range that requires some pre & post homecare to get the optimal results and avoid reaction. The 365 range is available for anyone i.e. first time treatment, as no specific homecare is necessary, although a good skincare routine is always recommend to get the best longer term results.